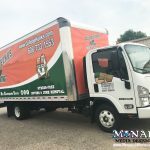 Like a satisfying meal, a completed vehicle wrap by Monarch is entirely dependent on the skill of preparation and the quality of the ingredients. Just like that amazing meal, you always want to get what you ordered, made with the ingredients you were promised, on time, and at a reasonable, fair price. 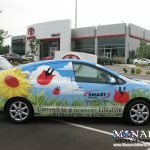 Top-Quality, 3M Vehicle Wrap Vinyls are the ONLY Vinyls we use. Don’t risk quality for price! Know what you are buying and ask questions. 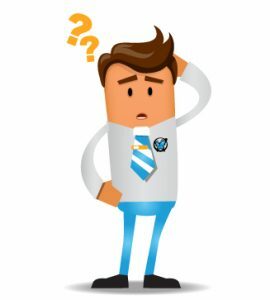 Click here to read “The Top 6 Questions for a Vehicle Wrap Company” to learn more about the other ingredients needed for your vehicle wrap. 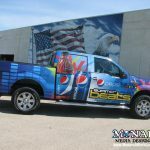 All vinyl brands for vehicle graphics and vehicle wraps are NOT created equal! Don’t risk the investment of a low-budget wrap by going with a company based off their quote alone. If a company is silent on the materials they use, be sure to ask. 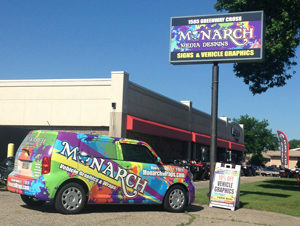 At Monarch Media Designs, we ONLY use the best-in-class, 3M Vinyl Available. 3M premium wrap vinyl is precisely formulated to ensure a clean, long-term installation. It has the ability to conform to complex vehicle curves. We have specialty upgrades to a Super Premium option for intense curves and deep grooves that require precision. 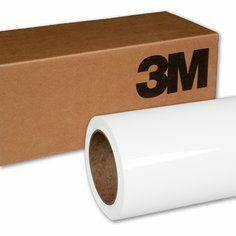 3M Vehicle Wrap materials are unique and leave a clean, damage-free removal within the warranty period. We even have temporary wrap vinyl that is perfect for short-term application to save money if your project only needs to be up for a year or less. Why would a company use off-brand materials? You may wonder why a company would use anything other than premium vehicle wrap vinyls from the top name brand companies. There is only one reason. It’s a cost-cutting tactic that leaves you with inferior graphics, but saves the vehicle wrap company money. 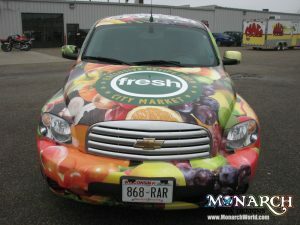 Monarch will never cut corners when it comes to the quality of your premium wrap vinyl. Low-grade vinyls lead to more installation hours, and even more hours of removal with no guarantee that your vehicle paint will not be affected once removed. Calendered vinyl is used extensively in the sign industry and is designed for application on flat surfaces. Calendered vinyls are less expensive than cast vinyls and perfect for flat sign surfaces and substrates. Some calendered vinyls will try to adhere to a curved or complex shape for a short period of time, but ultimately they want to return to their natural flat shape. This creates a big problem when those graphics that looked great when you picked up your vehicles soon start to lift and fail in the contoured areas of your vehicle and around rivets on box trucks. 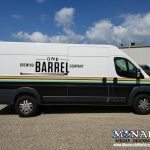 For this reason, we only recommend using calendered vinyls when doing Printed Full-Color Vinyl Graphics and Logos that are not wrapping over any curves, or trailers and box trucks with little to no rivets. Cast vinyl, is a premium vinyl that is manufactured to take on the shape it is applied to. When applied properly, it adopts that shape permanently. Premium vehicle wrap vinyls and laminates are in the cast vinyl category. We absolutely must use Premium Cast Vehicle Vinyl for any wraps that are going over rivets, complex curves, obstructions, or anything else that causes the vehicle to not be a flat application. Then there are the extra-curvy vehicles, or vehicles with deep grooves that need extra attention. 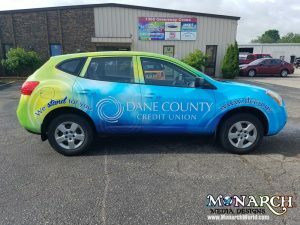 If you want your wrap to last in the difficult areas, we have a super premium wrap vinyl that hugs the curves even more than our standard Premium Vehicle Wrap Vinyl. 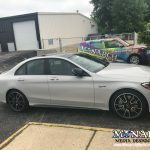 Vehicles such as an HHR, have deep, complex curves that will require an upgrade to a Super Premium Vinyl in order to ensure a long-lasting wrap that will not start to lift. 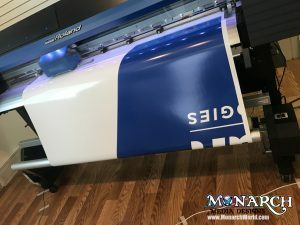 Rounded edges create unique angles that make a vehicle wrap more difficult to install, thus increasing the cost. We will start off by saying this…We laminate all printed vehicle wraps and graphics. No matter which 3M Premium vehicle wrap vinyl we are using, we always have a perfectly-paired laminate. When vinyl and laminates are paired properly, this ensures that the vinyl graphics will conform to the vehicle consistently. It will reduce fading from UV rays, especially for vehicles that are parked in direct sunlight. It will allow you to wash your vehicles without damage to the print. All of our graphics are printed on Roland High-Quality Digital Graphics Printers. We only use the brand-name Roland inks that are meant for the highest quality of our printer. We NEVER use off-brand inks or bulk filling systems. Our printing process is calibrated carefully for superior color management. Our inks pair perfectly with our brand-name vinyls to complete the whole package of the vehicle wrap process. The Best Materials. The Best Installers. The Best Vehicle Wraps.